So you want to invent the next great idea? There’s a reason why toy companies only pick up a few ideas each year. Everyone thinks his idea is the best, and everyone’s family thinks so, too. The fact is, we and our families are not a realistic census of what America and the world wants or needs. Not just anyone can invent. It takes vision, creativity, a lot of hard work and persistence. First, research what is out there and why it is out there, and then see if you can find a hole. Take what you know and see if you can find that “magic idea” that will fit. There’s a possibility your idea has been tried before but is not out there because it didn’t make sense, technology wasn’t ready, or the cost was too high. 1. 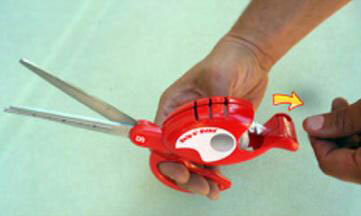 IDEA: I came up with an idea that I believed would sell and make people’s lives better: a tape and scissor combo. It would be great for activities, crafts, and holiday and birthday wrapping projects. 2. RESEARCH: After I thought through the idea, I researched the product idea on the Web, including checks on office and craft stores like Staples, Office Depot and Michaels. On Google, I typed in “scissors with tape,” “scissor and tape combo,” etc., and found nothing. Then, I visited office and craft stores in person to see if there was anything similar. I even asked the employees, and found nothing. The next step was searching the U.S. Patent and Trademark Office website. I went to the patent search section and typed in “scissor and tape combo,” “scissor and tape,” “tape cutters” and other variations. 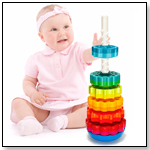 This page lists patented items that are similar with either design or utility patents. I read through each patent to see if my idea was truly unique. I looked for anything that combined scissors and tape, or a design similar to what I had in mind. I wanted to make sure that there would be no infringement. In the process, I didn’t find anything that was even close or similar — good news! Attorney’s Comment: In addition to searching issued patents, it would also be beneficial to search the published patent applications. More recent publication dates correspond to cases pending that may not yet have matured into a patent but could down the road. If you are planning to apply for your own patent, published applications may be used by the Examiner to deny you a patent. Searching through the published application database will also help you plan and anticipate whether your road through the USPTO will be smooth or bumpy. For some published applications, it is also possible to determine the status of the application (e.g. abandoned, rejected or allowed), by checking the status of the publication. Patents typically protect a structure and most are not limited to a particular application unless specifically stated in the patent claims (numbered paragraphs at the end of the patent document; on the USPTO website, the claims are listed toward the front of the electronic documents). 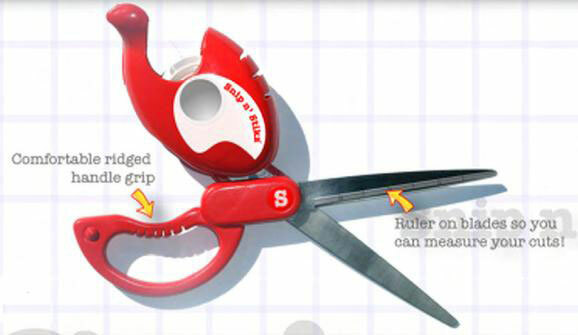 Therefore, even if an inventor may be interested in tape and scissor combos for crafts and office use, there may be structures in an unrelated industry that also integrate scissors and tapes. A possible example may be cutting and splicing of films or tapes as recording medium. Whether for purposes of avoiding infringement or applying for a patent, some of these less obvious areas are worth delving into. • “Why isn’t it there?” Maybe it wasn’t thought of, or not developed well enough. • “Is there a real market for this item?” I believed there was, and a place for it in gift sections, checkout lines and on TV commercials. • “Can it be made cost effectively?” Through connections I have overseas, I came up with some preliminary costing from Hong Kong and the prices came back good. I could sell it at a fair price of $9.99 and still make a profit for around. I then re-examined these questions for potential roadblocks in my design path and decided it was OK to proceed. 4. DESIGN: I began designing and making a few rough prototypes to get the product just right. I drew a lot of sketches, and built prototypes out of scissors and tape that were modified to fit my idea. It required cutting, drilling and painting all day long, and took a few weeks to really streamline my idea. 5. PATENT: When the prototypes were completed after much trial and error, I went to the patent forms section of the USPTO site and filed a provisional patent for $110. This would protect my idea for up to a year until I decided whether or not to apply for a permanent patent, which costs much more and may require an attorney for significant protection. The application is pretty simple, with straightforward questions, such as, “What is your invention called?” “Who are the inventors?” and “When was it created?” I also included an illustration of the product and photo of the prototype. Attorney’s Comment: The provisional application is a great tool for "reserving" an early filing date for inventions as other details (financing and market research, for example) are fleshed out. While it is possible to mark a product "patent pending," the provisional application gives an inventor no rights to exclude. Only an issued patent can truly protect an inventor from potential infringers. There's no need for a provisional application to be limited to prototypes. In fact, there is a benefit to being over-inclusive rather than under-inclusive, especially if there may be additional tweaks with the product design. Include detailed instructions, and pictures, preferably from multiple angles. Be cognizant of when your provisional application will go abandoned (one year after filing). If you fail to file a non-provisional by that time, you won't necessarily have sacrificed your U.S. patent rights, but your position could be compromised. 6. TRADEMARK: Then, I started coming up with possible names, and went to the United States Patent and Trademark Office: http://www.uspto.gov/teas/e-TEAS/index.html and searched the name options in the New User Form Search - Basic area. 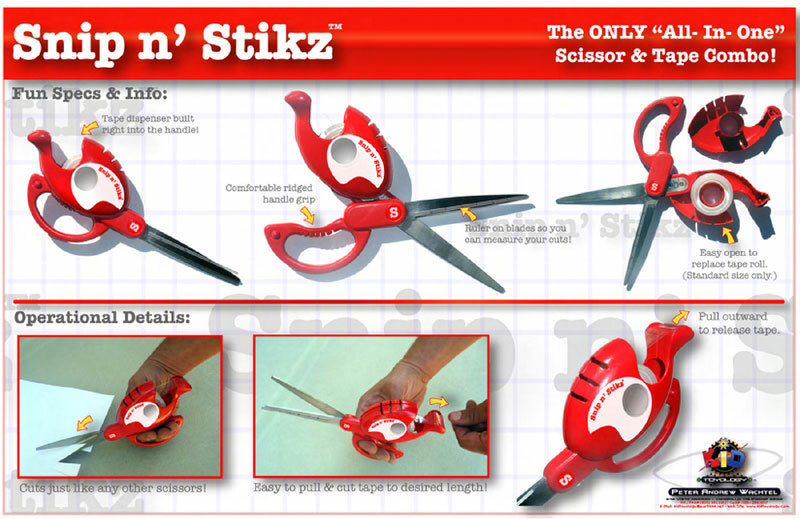 I found nothing, so I registered trademark and copyright protection on the name Snip n’ Stikz for around $35. 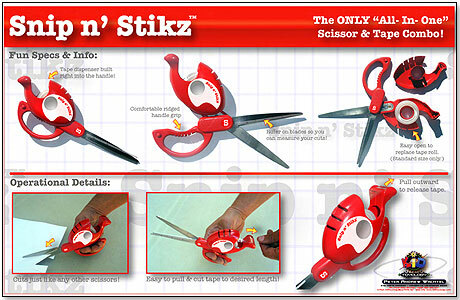 I had a few other ideas for names, like Scissor Tapers and Stick and Cut, but Snip n’ Stikz seemed to work best. Every inventor's journey is different — the path I took in my article and with my items is just one of a number of ways to approach inventing and marketing an idea. "Shark Tank" was a great show that showed a "glimpse" into the inventing world for TV audiences. What you see on TV is not always how it is, and doesn't really show all that is involved. 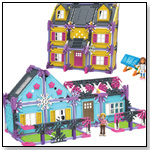 The product that was designed and developed was different from mine, and did not have behind it the connections, background and experience that I have in the Toy industry. Thus, I would not need to be on "Shark Tank," because of my experience, connections and inside working knowledge of the industry as well as of investors. Patents are important, but not always needed to sell an idea. 7. PITCH: My research was done, the product prototype was made and protected, and the idea still made sense. So I started looking into representation and approaching companies that might be a good fit to manufacture, license, or buy my Snip n’ Stikz idea. Based on my knowledge and experience in the toy industry, I started first with toy companies such as Hasbro, Mattel, Spin Master, Fisher-Price, MGA Entertainment, Jakks Pacific and Wild Planet to see if they would consider it for their activities lines. Since I used to work for them, I contacted them directly. Then, I searched out the same office stores that I had researched previously — Staples, Office Depot, etc. — and contacted them by e-mail. I presented these companies a working prototype, marketing and packaging materials, illustrations and the provisional patent so they could see the complete idea. I met with a lot of “no” and “not right now” responses. I found that companies were more reluctant because of the economy to invest in new ideas. They were less apt to take risks, so my idea had to be “idiot proof,” meaning they “got it” right away and it made sense on all levels — cost, sales, design, marketability, etc. So I designed it that way. The product looked good, and filled a niche in the marketplace. I created a professional marketing pitch and packaging behind it, as well as preliminary costing. I sent my prototype to China to have it costed out, and since I made my own packaging and prototypes, I could modify or explain ideas very quickly, or explore options for making it better. When it was presented it was almost ready to put on the shelves, which took the guesswork out of it for the companies to which I presented. It should be on HSN this summer, and then onto retail stores under a private brand. Attorney’s Comment: Be cognizant of the dates when you start pitching your invention to others and to whom pitches are made. From the first date that you attempt to sell the invention, a one-year statutory bar period begins. 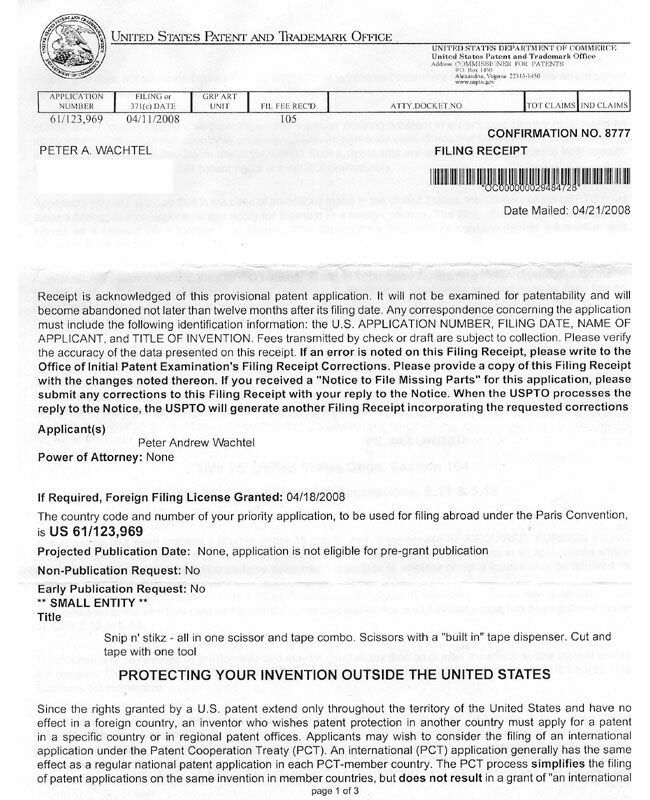 If you start pitching the invention on Aug. 1, 2010, you will need to have an application for the invention on file no later than Aug. 1, 2011, or you will be barred from receiving a patent. The same holds true if you publish the invention or publicly disclose the invention to others. Under a favorable case scenario, an inventor will have at least filed a provisional application prior to making any pitches. In any event, it is prudent to establish an expectation of confidentiality. The whole Snip n’ Stikz idea, from start to finish, took about a year. I started in early January 2008, ideas and sketches took a few weeks to develop, and prototypes a few weeks more. Presentations and revisions required a few more months. The longest and hardest part was presenting and pitching to companies, and searching out who would buy my item. When I did find interested parties, there were more revisions and re-pitching for a few more weeks. At one point I almost gave up because no one was buying or interested. But, still committed to my idea, I kept going. •Experience Comic-Con 2010 — on Video!